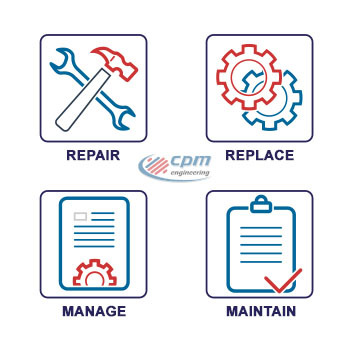 At CPM Engineering we assist customers in the Repair, Replacement, Management and Maintenance of rotating machines such as electric motors, pumps, gearboxes, fans etc. 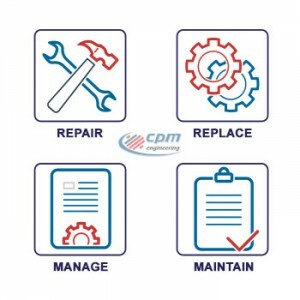 and determining if a critical spare is crucial to the development of a maintenance programme to achieve the objectives of reducing the safety, environmental and production impacts of a machine failure. We find in reality however, that this is one of the most difficult exercises for plant operators to perform. There are of course several elements to determine what constitutes a critical spare. Some parts are essential to the production process and others have a less severe effect on the process. In many instances the criticality analysis would reveal the probability of the failure of the equipment and what the effects would be. However, one of the factors which speaks in the process at an early stage is the financial one: the cost of purchasing the spares can easily distort the process at the very beginning. In one exercise for a customer we identified 860 rotating machines used in a food manufacturing plant. There were 860 machines from such diverse applications as mixers, vacuum processors, conveying, packaging and palletising. Of the 860 identified some 796 of these were of different type, size or specification and of 49 different manufacturers. Once the initial part of the process was complete it was found that there were only 17 spares that could be used on one or more applications. Now I don’t wish to get into the argument of why manufacturers of process and production equipment use so many different parts in their manufacturing process but this is a typical problem faced by plant operators. However, during the process it was becoming clear that as the critical analysis revealed the spares requirement was going to cost upwards of £300,000 – this was when the mood changed somewhat and heads started to drop at the enormity of the problem. On this occasion we were able to drive through this set back and move onto the next stage which was to identify various levels of criticality and therefore what spares could be obtained within the financial constraints. Obviously there were compromises made, but the risk was further mitigated by: carrying sub-assembly parts as spares, agreeing stocking arrangements with suppliers, fast turnaround repair techniques coupled with non-evasive monitoring techniques and time based maintenance intervention. 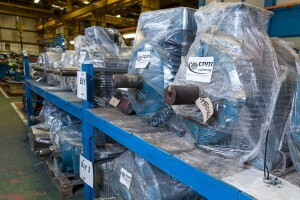 The investment into spares dropped down to £38,000. But while in this instance we were able to work through the process, how many such initiatives, which start with great determination only to find that the enormity and cost implication of the process means that it stalls and the programme never becomes reality?